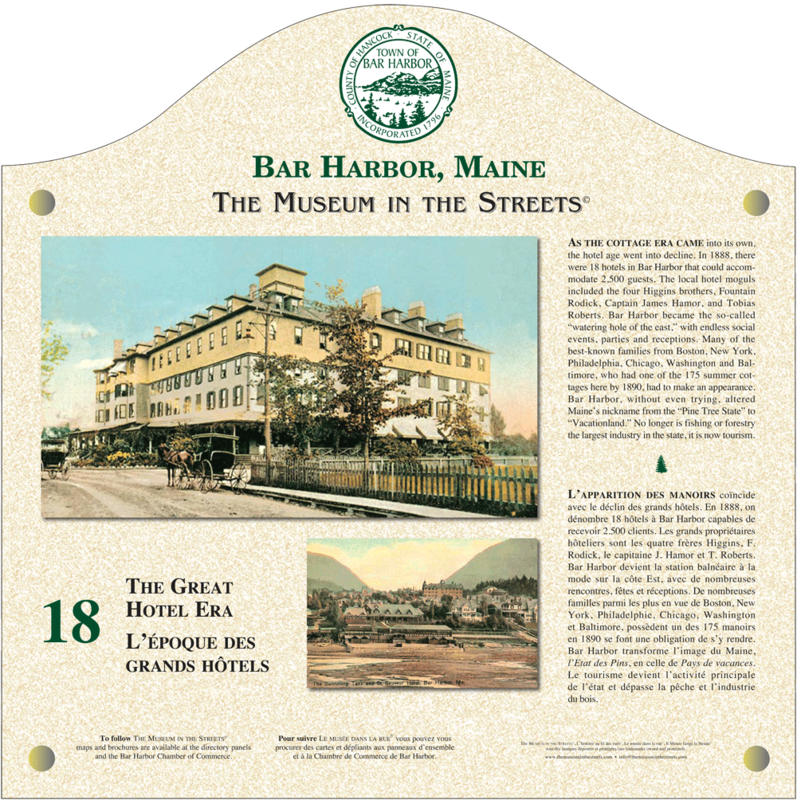 Each walk we create consists of 10 to 30 of these panels and one or two larger introductory panels that map their location in the town. 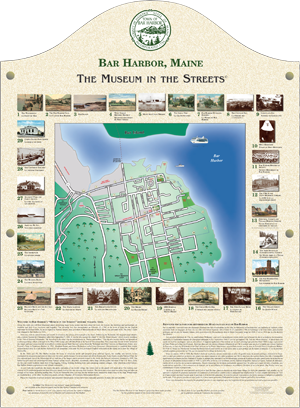 The panels display the town logo, name, archive images or documents and short bilingual texts. 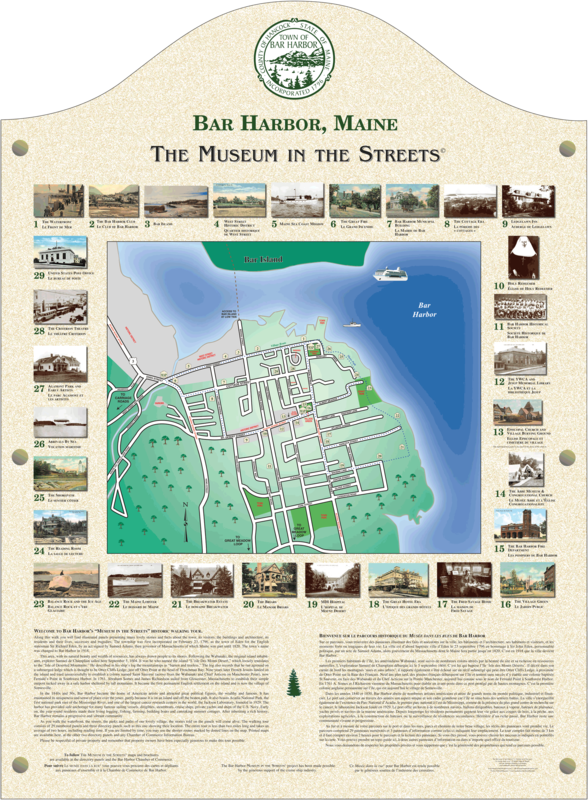 Often, each one is numbered to help visitors identify it on the map they pick up at the local museum or shop. Image credits, sponsorship and copyright information is displayed at the bottom. 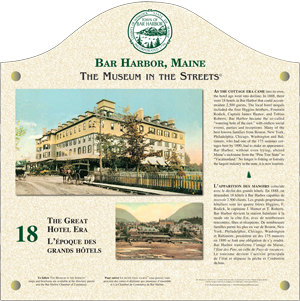 Hover on the picture of the panel to see this example in greater detail. The Museum in the Streets©, Le musée dans la rue©, Il Museo lungo la Strada©, L'histoire au fil des rues© are protected under copyright.